You created a wonderful website which attracts huge audience from all over the world, your website is a service provider which needs to operate continuously from all over the world, your website is an E-commerce website which needs to work perfectly lest you should face huge losses, keeping a website running without any interruption is one of the top requirements. In order to keep the website running, you need to have an outstanding maintenance service for your website. The maintenance service of the website is provided for digital web designing and development companies. Should you ask your hosting company to provide maintenance or hire a separate company? It depends on your budget as well as the requirements for the maintenance of your company. If you are low on budget, you can ask your hosting company to provide basic maintenance for your site but if you have enough budget, you should get the services of a full-time website maintenance provider company. If your website is basic and doesn’t require continuous maintenance, you can ask your hosting company to provide you with the basic maintenance but in case your website is sophisticated and require continuous maintenance for smooth functioning, then you should hire a permanent company. Big website having huge data and services may require continuous maintenance. You should always try to get a good package for yourself. It is recommended to negotiate an hourly rate for maintenance. Always try to beef up the security of the site which will decrease the frequency with which maintenance is required. Always check the credentials of the company you are hiring. Check if they have capable people to deal with your website. Check the past record of the maintenance services provider company and analyze how they have delivered to their clients before. You should make sure that they are reliable as maintenance is a 24/7 job and any problem can arise at any time. The company should give you 24/7 service assurance. They should be capable enough to diagnose the issue with the site and provide a quick fix. The last and most important thing is the level of communication you maintain with your maintenance services provider company. You should always stay in touch and get reports of the working of the site regularly. 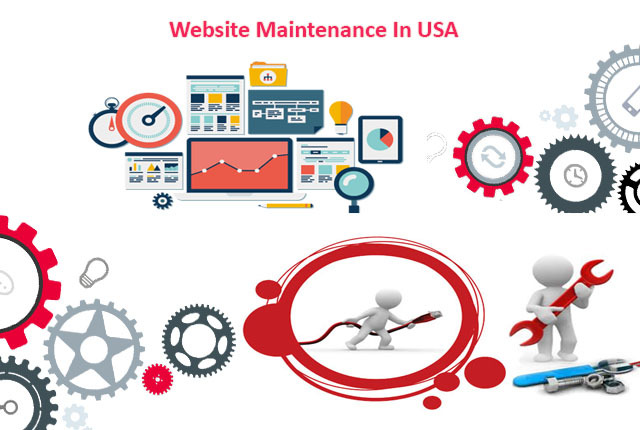 Digital tool USA is a website maintenance services provider company which has helped a number of businesses in effectively maintaining the smooth flow of the e-commerce businesses. We provide low priced 24/7 services to our clients. We are based in Chicago, USA and we always maintain a healthy communication with our clients.